This is the first in a series of two posts on The Interrobang (‽). Continue to PART 2 or view ALL POSTS in the series. 1962 was a momentous year for the United States of America. John Glenn became the first American, and only the second human, to reach orbit;1 the Kennedy administration successfully negotiated the nuclear tightrope of the Cuban missile crisis, taking the world within a hair’s breadth of nuclear war in the process;2 and NASA launched AT&T’s Telstar, the world’s first telecommunications satellite, ushering in a new era of instantaneous global communications.3 Consumer society too was reaching new heights: advertising ruled, and the ad men were at the peak of their game. Presenting a set of speculative designs for his creation, rendered by his agency’s art director Jack Lipton, Speckter tentatively named the new mark the ‘exclamaquest’ or ‘interrobang’. 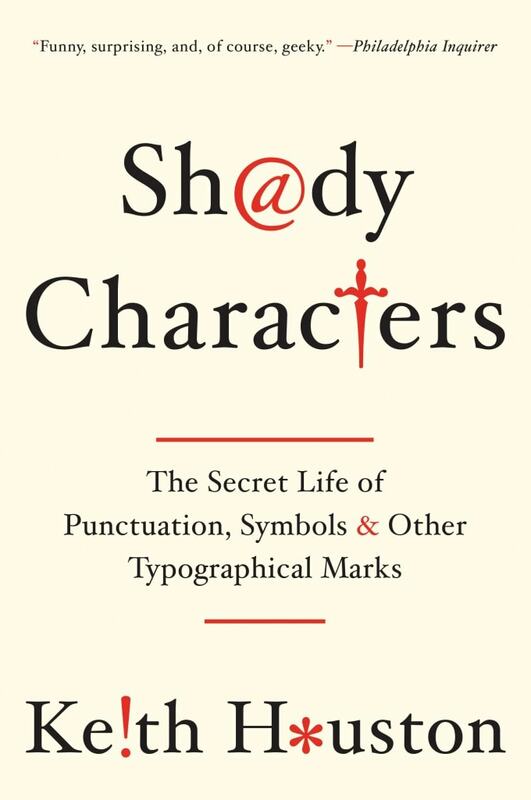 He ended the article with an invitation to “join the exalted ranks of Aldus, Bodoni et al” by calling for readers to supply their own interpretations of the symbol’s design, and solicited new names to compare with his own suggestions. Another mention came in the New York Herald Tribune (now defunct, but whose European edition lives on as the International Herald Tribune 8), where advertising correspondent Joseph Kaselow devoted an entire column to the Speckter’s new symbol and hailed it as “true genius”. This welcome publicity was not entirely without its hiccups: Kaselow’s article was published on the 1st of April9 — whether this was an unfortunate coincidence or a deliberate act by a misinformed editor is not recorded — and this predictably raised questions as to the interrobang’s authenticity. This second article publicised some of the alternative names for the new character submitted by readers. Portmanteaux denoting questions and exclamations were most common, giving rise to ‘emphaquest’, ‘interrapoint’ and the tongue-twisting ‘exclarogative’, while the mark’s application to rhetorical questions was addressed by ‘rhet’ and its intentional ambiguity by the slyly humourous ‘consternation mark’. However inventive these suggestions were, by virtue of its head start one of Speckter’s own terms had already gained traction in the newspaper stories which had reported his original article. ‘Interrobang’, formed from the Latin interrogatio, translating roughly as ‘a rhetorical question’,10 and the English ‘bang’, a slang word for exclamation mark,11 would prove to be the favourite from that point on. Also reproduced in the second article were some of the designs sent in by graphic designers and typographers. Like the suggested names, some were abstract, others direct; more than anything else, though, they were all fashionable. These were, after all, the creations of advertising men steeped in a culture of continual renewal. As shown here, Frank Davies’ stylised hot-air balloon and Larry Ottino’s angular, inverted question mark with its tiny aperture seem custom-made for movie posters or glossy magazine covers of the era. In the end, however, mirroring the popularity of Speckter’s own term ‘interrobang’ over the other suggestions for its name, his simple superposition of a question and exclamation mark (‘‽’) would prevail, becoming the model for most future interpretations of the symbol. The brevity of this report belied its significance. The interrobang’s path had been cleared all the way from the writer’s desk to the printing presses, and a new wave of enthusiasm for the interrobang was in the offing. Can you help trace these graphic designers? I am completely enthralled by these articles. Keep ’em coming! Hi Jason – glad you like them! Being a relatively young person, I first found reference to the interrobang on a discarded box of books in the Fenway neighborhood of Boston in 1989. 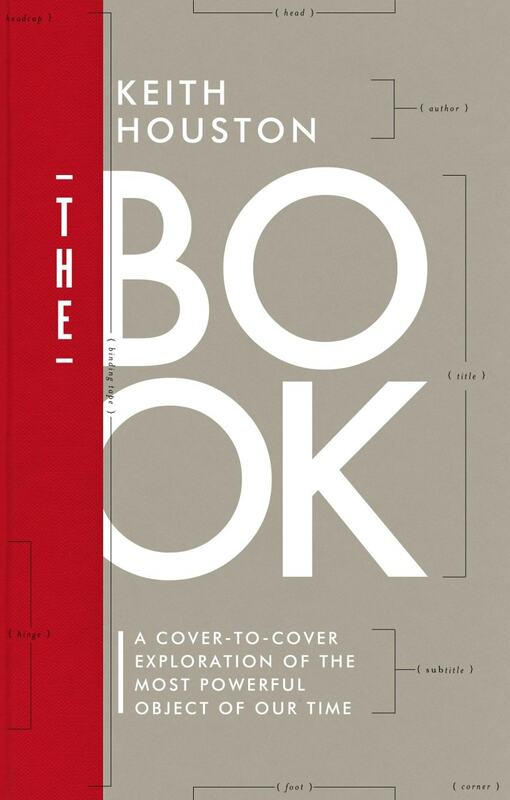 Never able to pass such a thing, I rifled through and pulled a book by Herbert Spencer RDI FSIA, “The Visible Word” (1969 – 2nd revised edition of a Royal College of Art report from 1968 – Visual Communications Books, Hastings House Publishers, NY). A study of ledgibility of type as the industry began the transition from the tried & true hot metal technology, on page 35 there was very small reference to a “new punctuation mark, ‘un point d’ironie’ proposed by writer Alcanter de Brahm (1868-1942)”. A backward question mark, there was also reference to “A mark serving the same purpose and called an ‘interabang’…recently introduced by American Type Founders Company.” showing the Isbell design from ATF Americana. I was some completely intrigued and enamored, and immediately dropped the idea of naming my only recently founded printing office “The Stinking Toe Press” (my fiancee and I ate a lot of garlic…) and adopted the name “interrobang letterpress” under which I have imprinted since 1990. Well prior to the explosion of the internet, I’m fairly confident I was ahead f the curve on resurrection of the interrobang, and have been duly miffed at all the late-comers “diluting” my brand ever since. That’s a great story! If you’re amenable, I may link to Interrobang Letterpress in my next article. Please let me know if that’s okay! Hi Keith, yes certainly, and thank you. Fantastic, thanks! The second (and final) interrobang article will be up not this weekend but next. Is there evidence that “interrobang” was based directly on the Latin interrogatio? On the face if it, an English word like “interrogation” or “interrogative” would seem more likely. “Interrogation mark” (or “interrogation point”) is another name for the question mark, after all. Martin Speckter gave the interrogatio explanation himself in the first Type Talks article. Hope this helps! Hi John — there may yet be a mention of the gnaborretni in the second part of the article! I love these articles! And my choice of interrobang is Lipton and Speckter’s one on the left. Just leaving a comment to have my comment look pretty. Another great job, and certainly the best writeup of the history of the interrobang I’ve ever seen. I assume you either inadvertently let slip in or intentionally made one error, since I think it extremely unlikely that an American writing in an American journal would spell the word “favors” as “favours.” But tell us if Spekter did, since that would be interesting. I, of course, call this an error not only because you are quoting text; otherwise, “favours” is clearly correct by anyone who wants to use it. My mistake! I’ve just checked the original text, and Martin Speckter did in fact use the American spelling. I’ll update the post accordingly. I’m glad you enjoyed the piece otherwise. This was certainly a refreshing read. There aren’t many writeups about the interrobang that hold my attention from beginning to end. Excellent job, Keith. Another very interesting article. 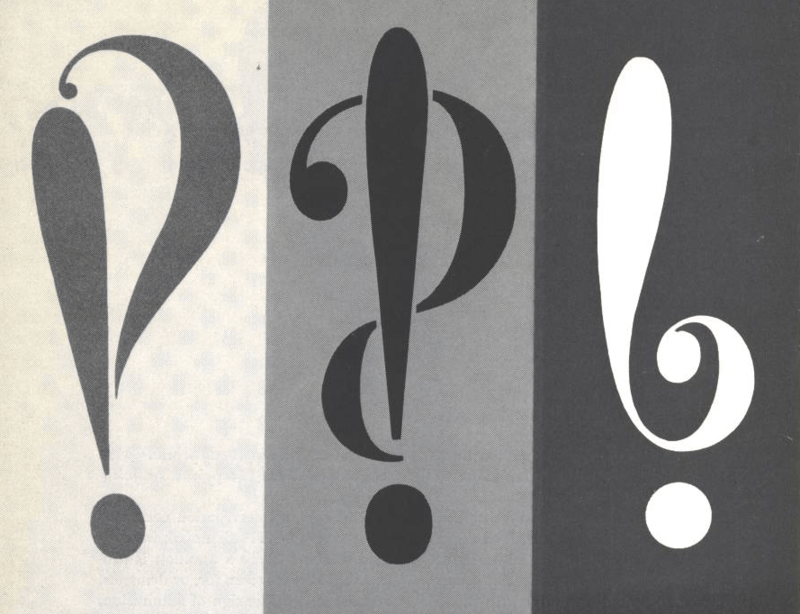 Love the alternate designs for the interrobang, particularly Joe Carter’s! I wonder if the fixity of standards caused by the widespread adoption of typing makes popularizing new symbols like the interrobang all but impossible. As your articles on the pilcrow demonstrated, experimentation and assimilation tended to be more fluid when documents were, by and large, hand-written. I suspect that was the case even in the early days of the printing press, since printed documents were typically arranged to emulate the style of the written documents on which they were based. Now that we do most of our writing (not to mention formatting) with the standard keyboard, the bar for entry is likely higher than it was in previous centuries. That’s entirely possible, and I’ll be talking a bit about the use of symbols from the standard typewriter keyboard when I write about the ‘@’ symbol in a few entries’ time. I’d imagine that anyone trying to introduce a new character these days would find it at least at difficult as Martin K. Speckter did with the interrobang — broadly speaking, the same obstacles to text entry and reproduction still exist, only in digital rather than mechanical form. I think you could take the 1996 introduction of the Euro symbol as a case study from the age of the internet and standardised keyboards. And yes – it face difficulties. That’s a great suggestion. I still have a few marks of punctuation up my sleeve, but the introduction of the Euro symbol could make for a good story. Thanks! Hi — I’m not quite sure what you mean. Are the footnotes malformed in some way, or invisible? I have nothing to add, I just wanted to compliment you on your pluralizing “portmanteau” as “portmanteaux”. He does indeed — his wife Penny has been of great help to me in writing these articles on the interrobang. I’ll pass along your details. Hi Vanessa – it’s called the “gnaborretni”!